Liferay IDE is a plugin for Eclipse. You can install it in two ways: bundled with Eclipse (this is the easiest way) or into an existing Eclipse installation. If you want to install the bundled version, a prerequisite is a version of Java supported by Eclipse. As of this writing, the bundled version requires JDK 6 or above. Once you’ve satisfied the prerequisite, it’s an easy matter to install Liferay IDE. Go to Liferay’s downloads page and choose the Liferay IDE option. There’s a separate download for each of the 32-bit and 64-bit variants of Windows, Linux, and Mac OS X. Choose the one that matches your system and click the Download button. You’ll receive a .zip file. To install Liferay IDE on your system, all you need to do is unzip it to the folder of your choice. If you already have Eclipse installed, you can add Liferay IDE to it. You can do this in one of two ways: install Liferay IDE via a URL to the update site or install from a .zip file. 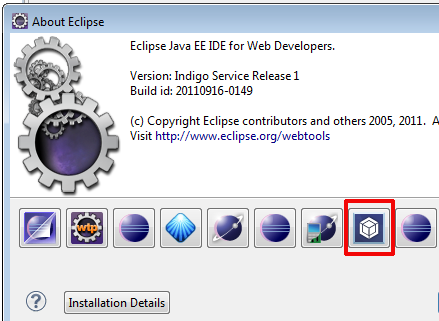 Install Eclipse Kepler, Juno, or Indigo from the Eclipse website. Run the Eclipse executable file (e.g., eclipse.exe). When Eclipse opens, go to Help → Install New Software…. In the Work with field, enter the update site URL http://sourceforge.net/projects/lportal/files/Liferay IDE/2.0.0 GA1/updatesite/ and press Enter. Liferay IDE features should be detected. Select them and click Next. After calculating dependencies, click Next, accept the license agreement, and click Finish to complete the installation. Restart Eclipse to verify that Liferay IDE is properly installed. After restarting Eclipse, go to Help → About; if you see a Liferay IDE icon badge as in the screenshot below, it’s properly installed. Download the IDE 2.0 .zip file from http://sourceforge.net/projects/lportal/files/Liferay IDE/2.0.0 GA1/ for your operating system. Let’s set up Liferay IDE now that you have it installed.